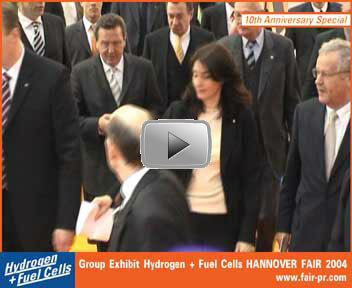 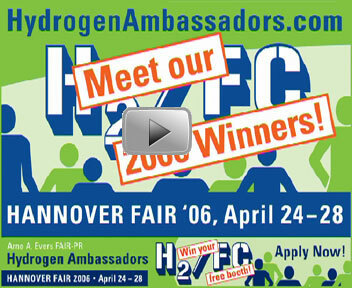 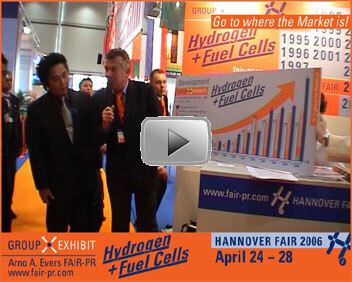 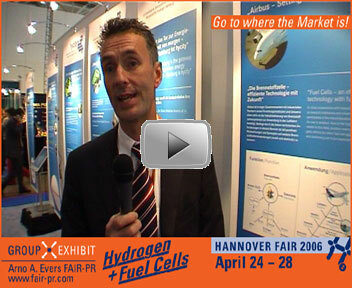 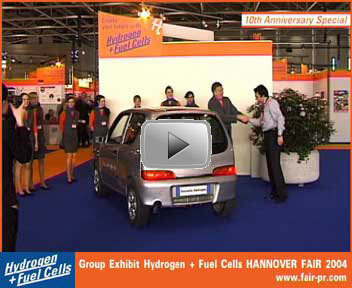 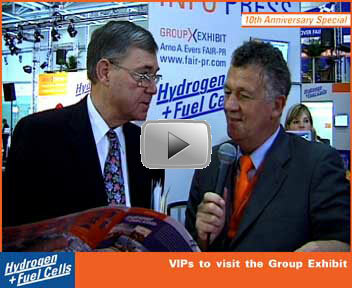 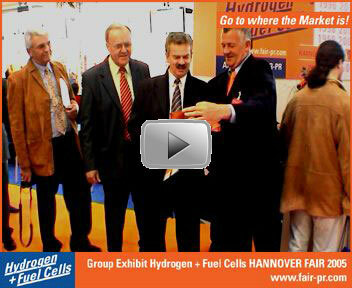 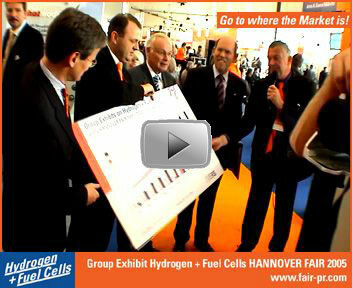 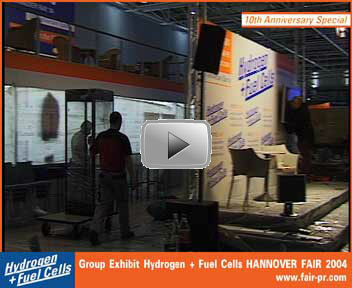 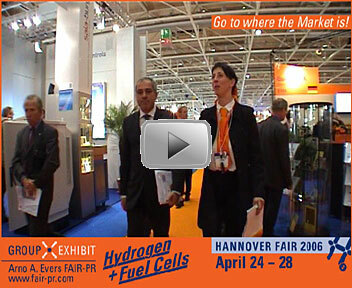 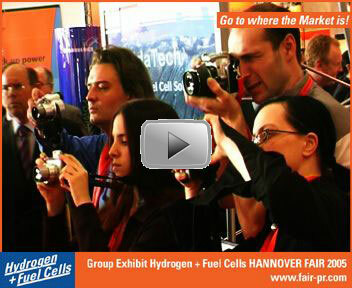 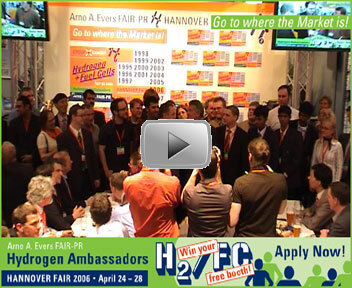 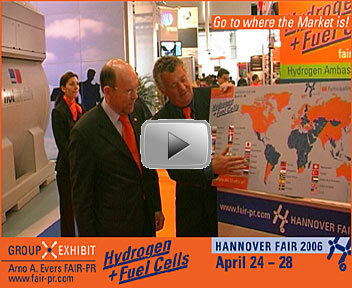 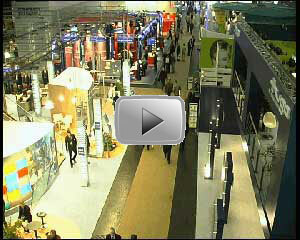 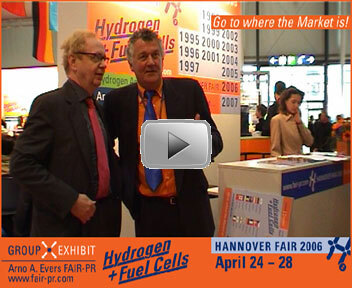 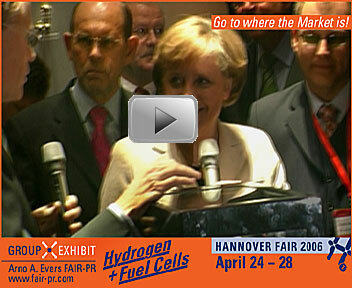 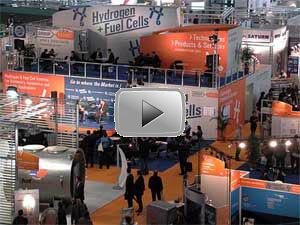 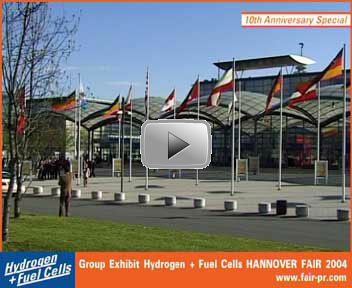 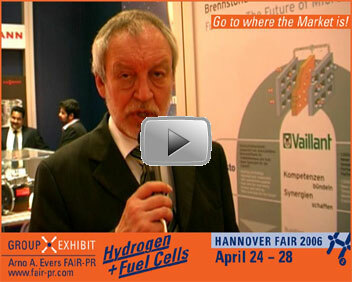 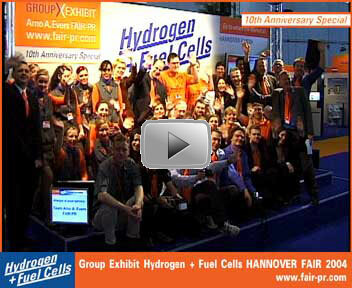 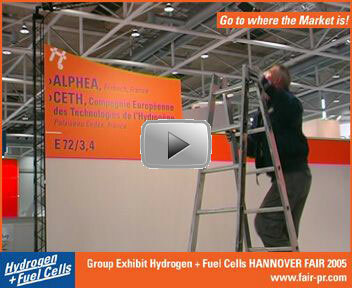 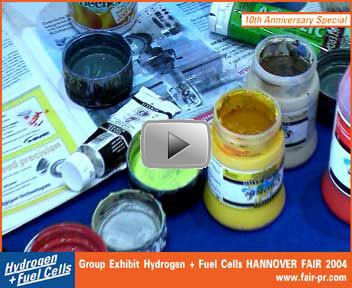 Since the Group Exhibit Hydrogen and Fuel Cells at the annual Hannover Fair 2002 Arno A. Evers FAIR-PR, the founder and organizing company of this worldwide unique event, is featuring videos about all activities during the exhibition. 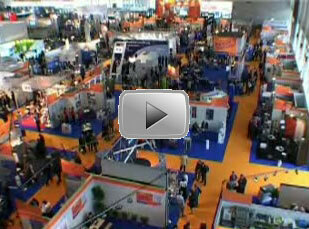 With this unique documentation, international potential and existing exhibitors and visitors can get a feeling about the magnitude and the possibilities in participating here...just click to any of the 83 video-pictures to enjoy them! 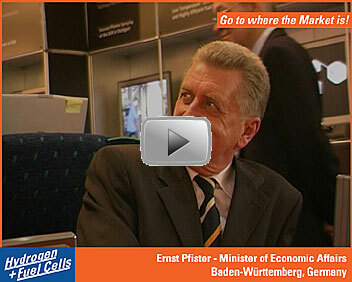 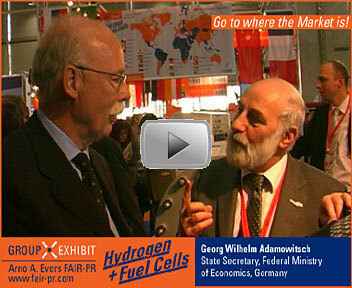 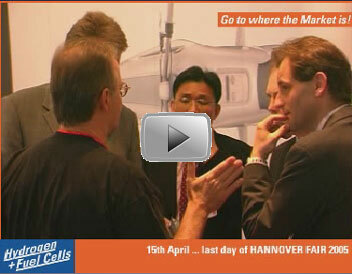 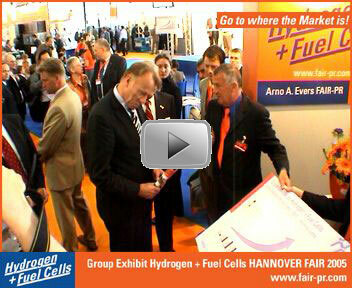 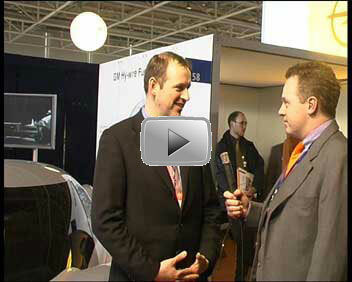 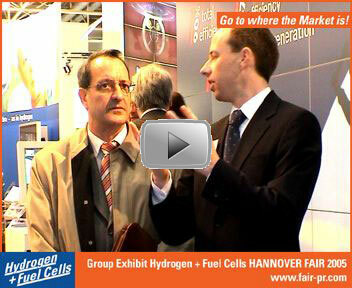 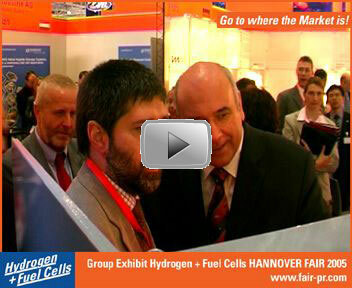 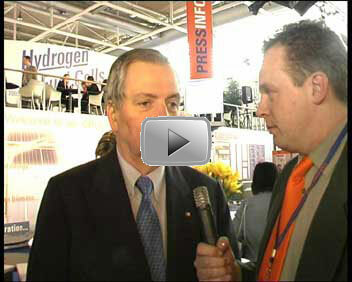 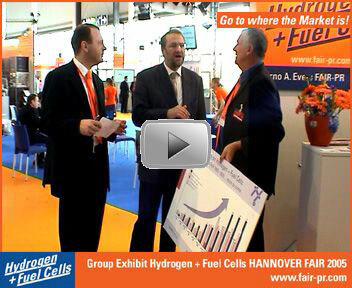 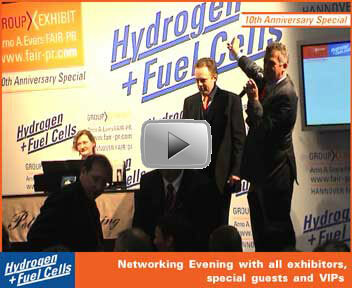 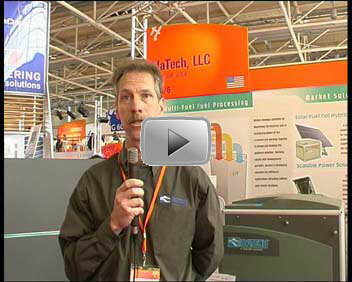 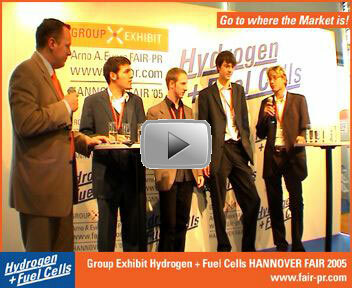 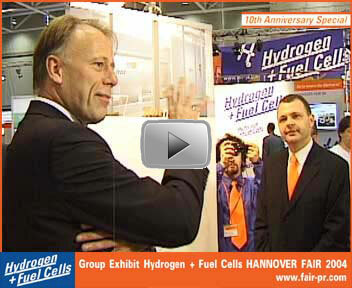 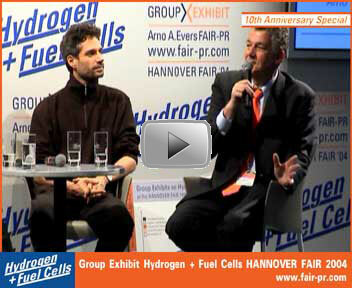 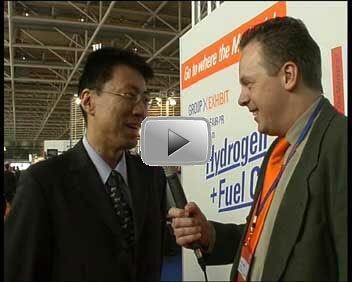 TV Spot, featuring Arno A. Evers and his FAIR-PR Team, promoting Hydrogen + Fuel Cells worldwide. 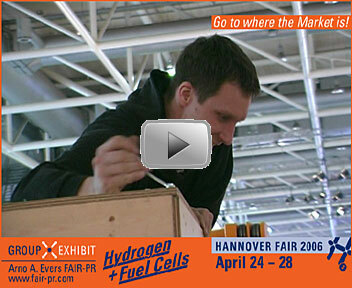 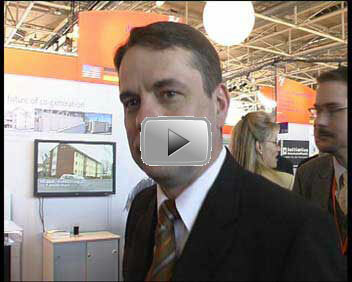 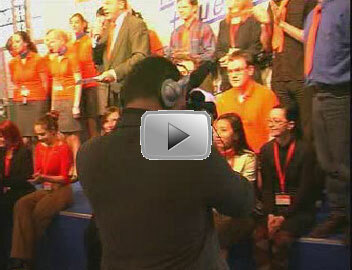 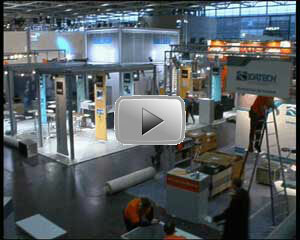 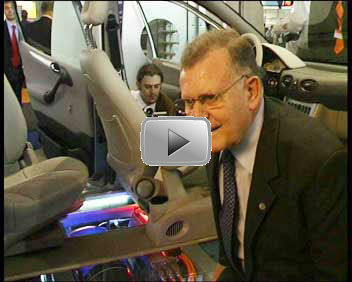 Scenes from our Starnberg office, with students and at the HANNOVER FAIR 2005. 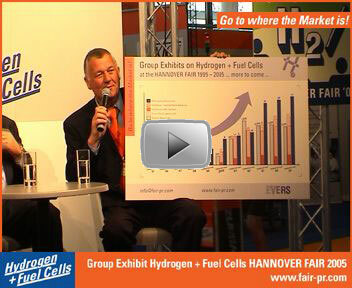 One of our many international visitors talk to Ulrich Walter about their impressions on the progress of the Group Exhibit Hydrogen + Fuel Cells. 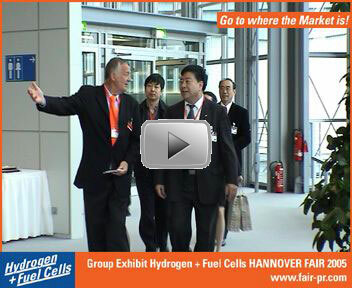 Another of our many international visitors talk to Ulrich Walter about their impressions on the progress of the Group Exhibit Hydrogen + Fuel Cells. 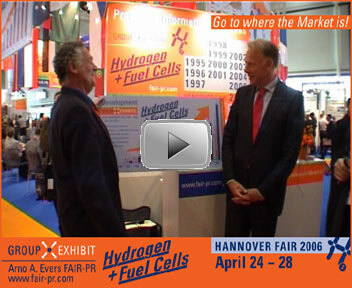 Christian Wulff, Minister President of the state of Lower Saxony visits the booth of Adam Opel AG/ GM and is convinced about the positive effects of research in the field of Hydrogen + Fuel Cells. 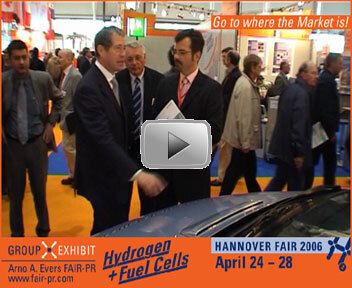 Erwin Teufel, Minister President of the State of Baden-Wuerttemberg takes a close look at the F-Cell car from DaimlerChrysler and states his strong believe in the future of Hydrogen technology. 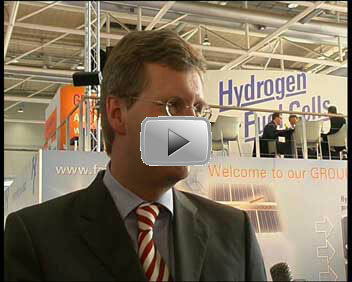 Dr. Hanspeter Georgi, Minister of Economy of the Saarland reveals himself to be a strong supporter of Hydrogen + Fuel Cell Technology. 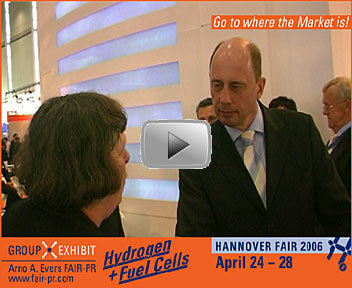 Klaudia Martini, Executive Director Corporate Communications of Adam Opel AG, talks to Ulrich Walter about a closer collaboration of companies and politics in Hydrogen + Fuel Cell research. 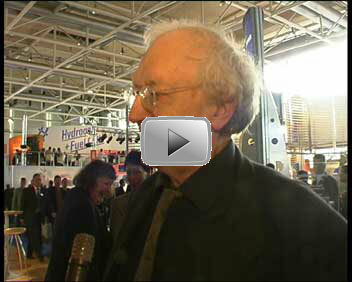 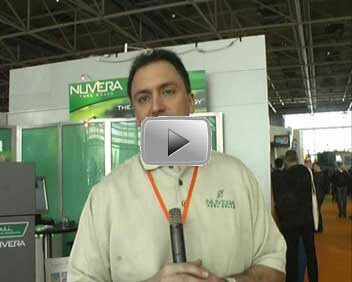 William Mitchell on Nuveras plans for this years Group Exhibit. 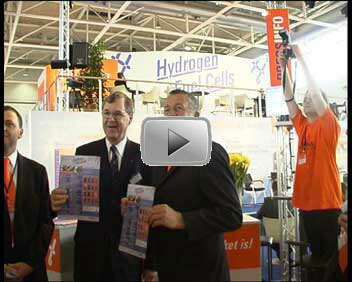 Erwin Teufel, Minister President of the State of Baden-Wuerttemberg is impressed by the efforts of Arno A. Evers FAIR-PRs Internet Team. 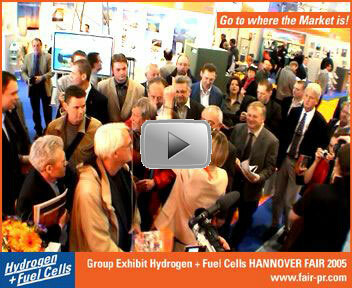 During her Forum interview, Fanney Frisbæk from Icelandic New Energy Ltd. points out that Iceland is leading the way in Hydrogen Infrastructure in Europe. 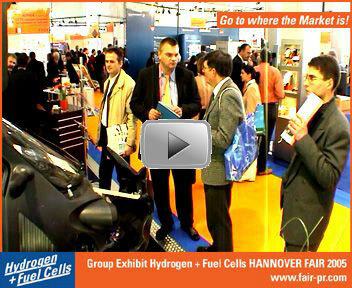 A Delegation from Denmark visits several booths at the Group Exhibit Hydrogen + Fuel Cells. 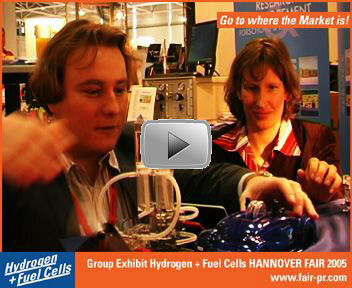 Prof. Dr. Fritz Vahrenholt presents his vision about producing Hydrogen from renewable energies in the future. 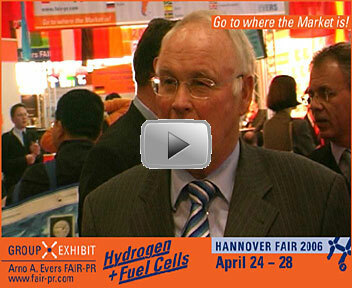 Q: Mr Evers, we are right here in front of Hannover Fairground. 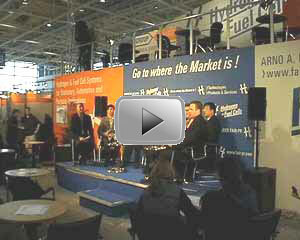 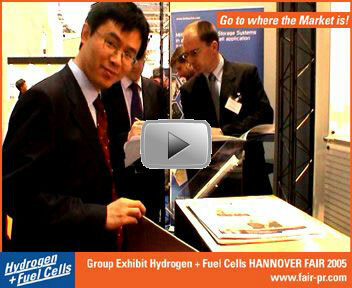 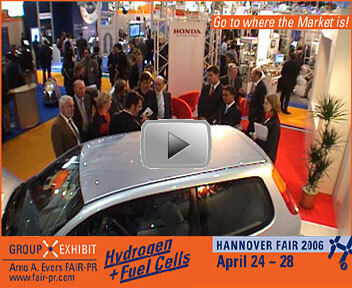 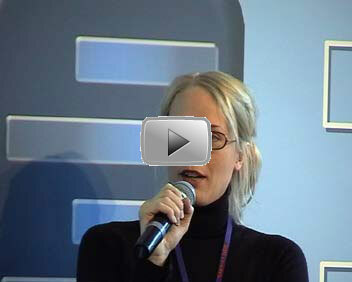 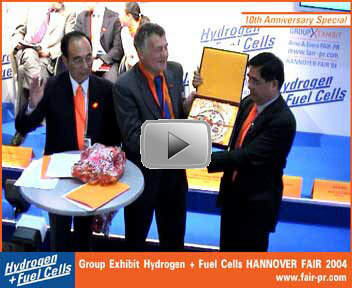 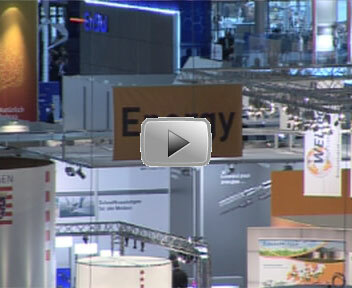 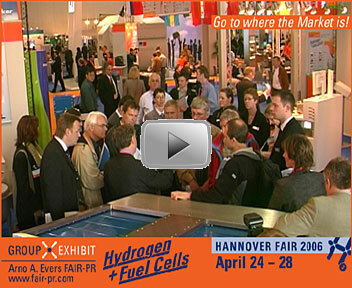 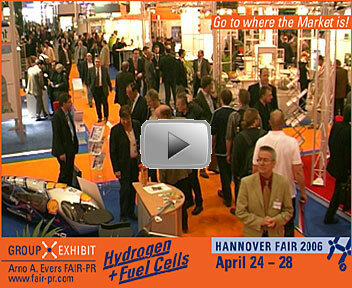 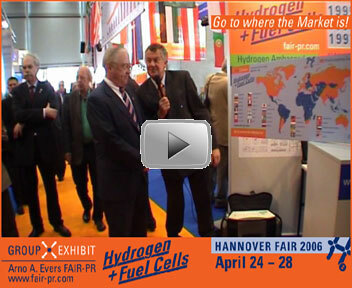 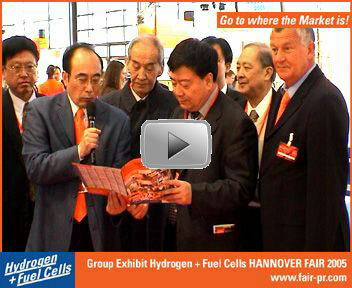 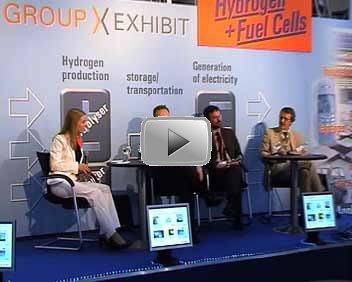 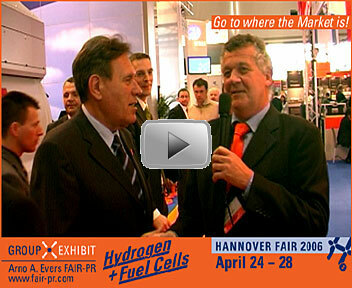 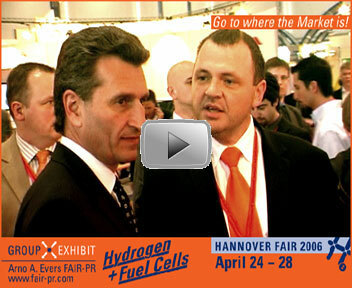 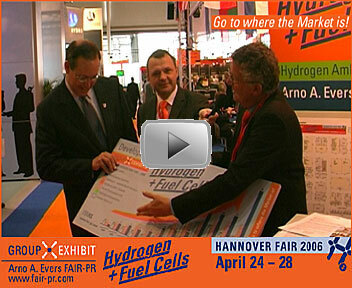 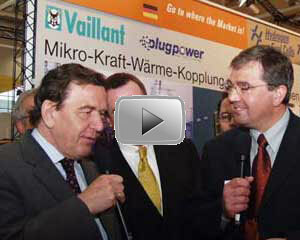 In April 2003 it will take place the next Group Exhibit for Hydrogen and Fuel Cells. 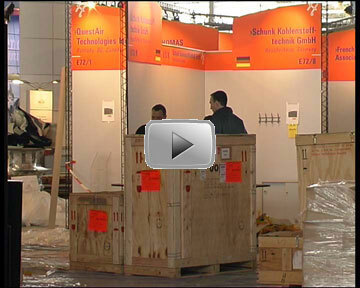 What do you expect from this Group Exhibit? 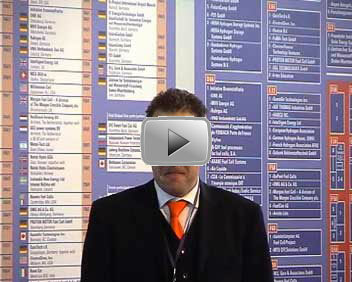 A: Well, we expect similar success as we had in this year, on our fair in 2002 and we are looking for some new exhibitors ­ and also to more interested fair-trade visitors. 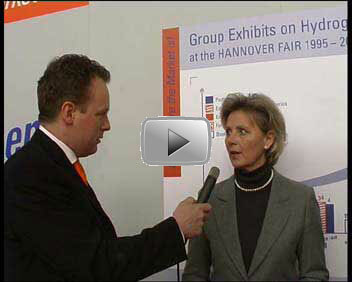 Q: Do you expect some more new features for this Group Exhibit? 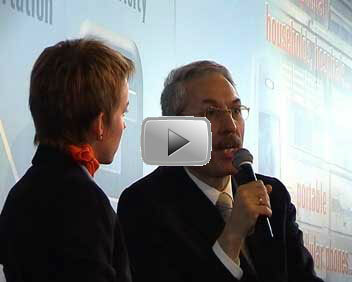 A: We are working on a number of new features, which will be released soon on our homepage. 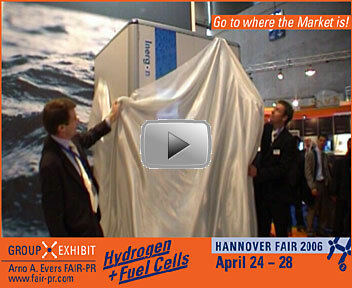 One feature will be the Hydrogen Village which you´ll find on our homepage as well. 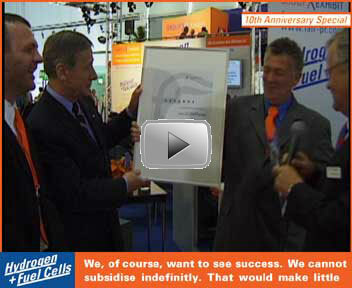 Q: So your motto will be?